Leave your message and we'll answer! 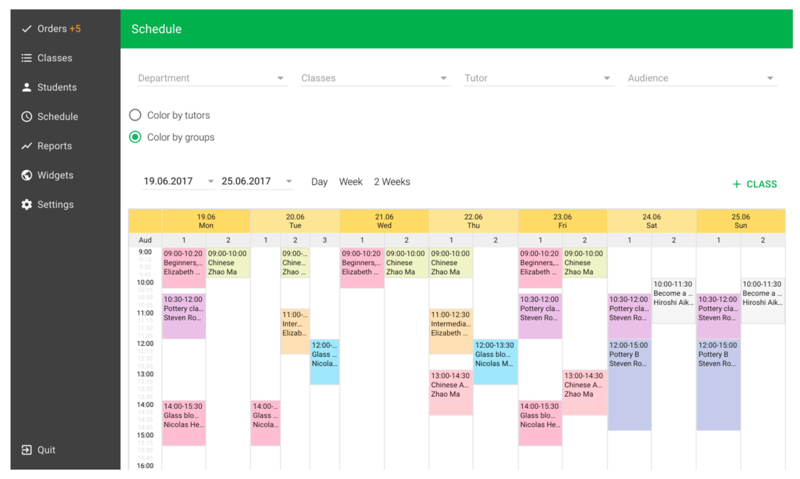 Simple and powerful CRM for schools and tutors + class schedule widget for website. Starts from 0$. Students and orders, lessons, payments and visits. Groups and individuals. Easy to use. Works online. Your students and orders are under your control! See payments and visits. Create classes for group learning or individual lessons. Add teachers and departments, if needed. 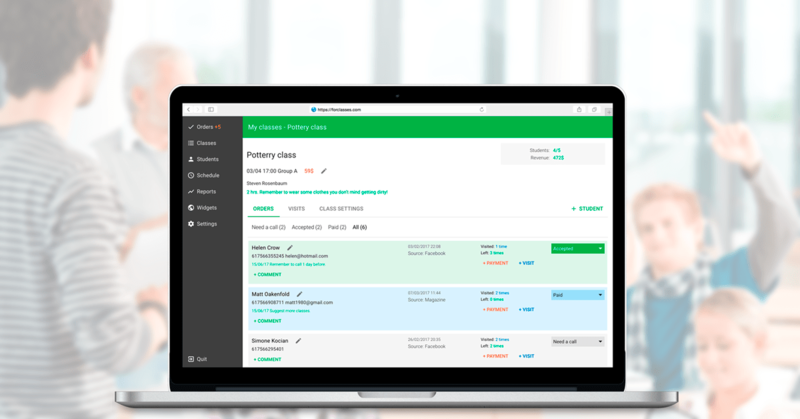 See your lessons in each audience in work calendar - optimize your time. 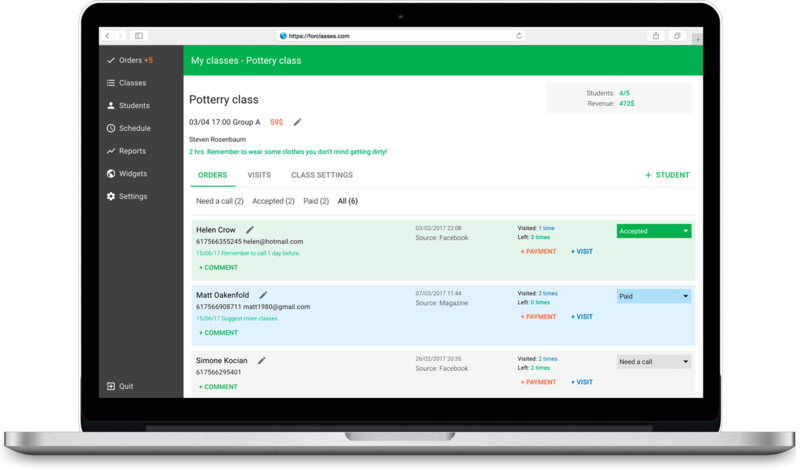 You don't need to change your website any more every time you open a new class! Our class schedule widget is updating automatically. 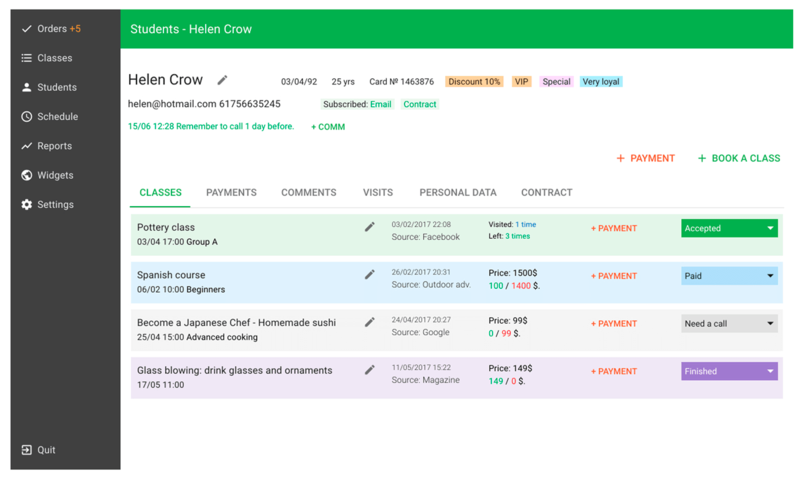 Just make a new class in CRM and widget shows it! Simple installation - just paste a short html-code to your site. No special "coding" needed. Paste once - works always! And also language, professional & techs, etc. Prices are shown for active classes/groups. 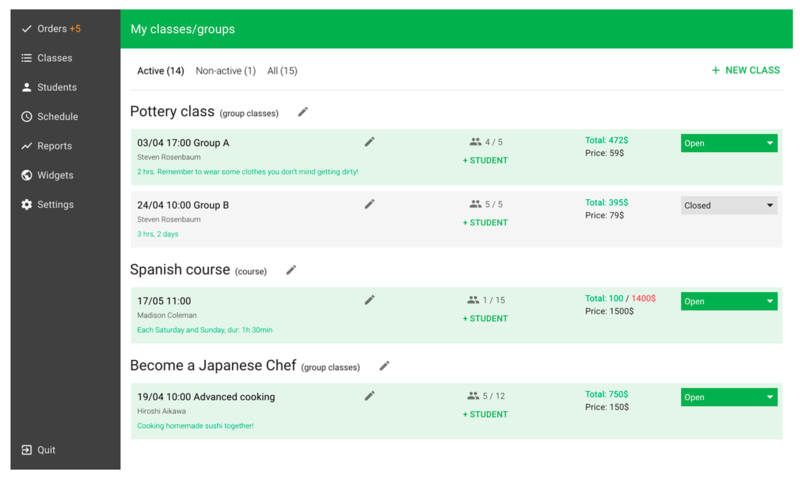 Active group or class let you to make anything with student in it - order in, receive payments, mark visits, etc. up tо 5 gr - free! "What's the profit of using your system?" 1. You will never miss any client. More clients - more profit! 2. You will improve your administration work. Less debts - more profit! 3. You will keep all data in one place. Less time to find something - more profit! Absolutely. All data is secured, and only you have access to it. "Is it complicated to manage your system?" Absolutely not! We know that your main goal is your clients and your business. 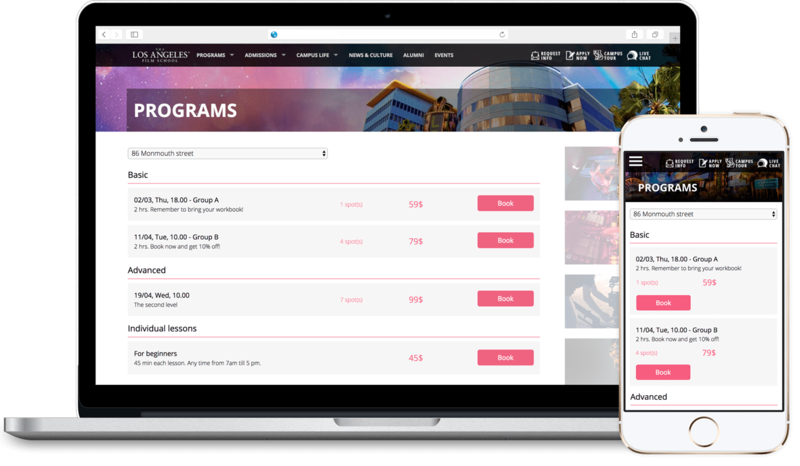 So we developed our CRM as easiest as it can be. We used Google Material Design to make it simple! "Is it simple to install your widget on my site?" Sure! Every web-constructor has a special feature to install external code. And it's very simple - you don't need to know "coding". But if you have difficulties with it - just ask us, and we will help you. Share the link to memorize it!